Thanks to the widespread black bear, North America has the lion's share of the world's bear-hunting opportunities, but the bear family is actually widespread, with members occurring in South America and across Eurasia. 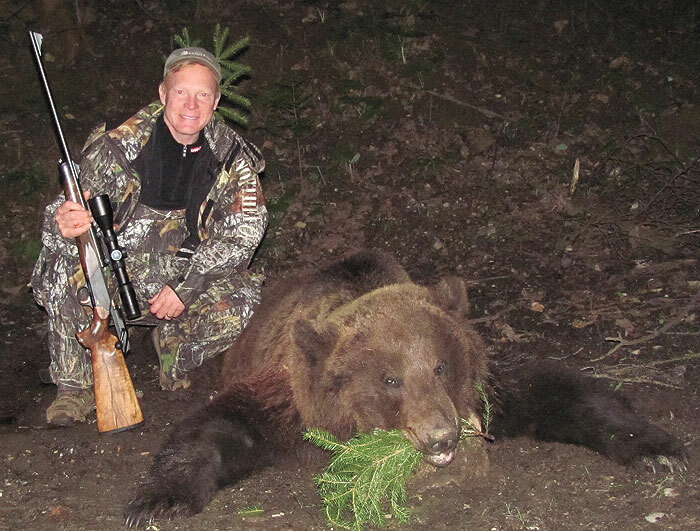 Many varieties are depleted and properly protected today, so the primary opportunity for bear hunting outside North America lies with Ursus arctos, the good old grizzly bear. Technically called the Eurasian brown bear, the hump-backed, long-clawed, dish-faced bear is found discontinuously from the Spanish Pyrenees to the great expanse of Russia and Central Asia. Current hunting opportunities are limited across this vast range, but there are some very interesting bear hunts in the Old World. Perhaps the very best opportunity is in Russia, where bears are widespread and the population is generally healthy. A traditional Russian hunting technique is called "bear in the den," conducted in winter and early spring. In this insane gambit, the hunters find a denned bear, wake him up and take him when, justifiably enraged, he charges out of the den. In coastal Siberia and especially the Kamchatka Peninsula, the brown bears are similar to Alaskan brown bears. I think the best Alaskan bears grow bigger, but the average in Kamchatka exceeds Alaska. If a guy wanted to take just one "coastal brown bear," I would probably recommend Kamchatka. Hunting with a mixture of cross-country skis and snowshoes, I shot a wonderful bear there when Russia first opened back in 1991. That was a great adventure then; today bear hunting in Kamchatka has developed into a great hunting program that remains well organized and highly successful. Opportunities are much more limited in Europe, with a small harvest in Scandinavia and scattered permits across Eastern Europe. Without question, the very best opportunity lies in Romania, where the majority of Europe's brown bears reside and have perhaps the most dense population in the world. 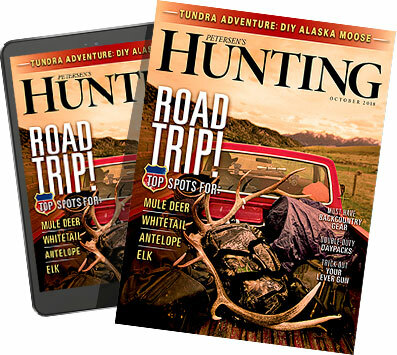 The traditional technique is driving, but as permits become fewer this is becoming less common because hunting over bait is much more selective.